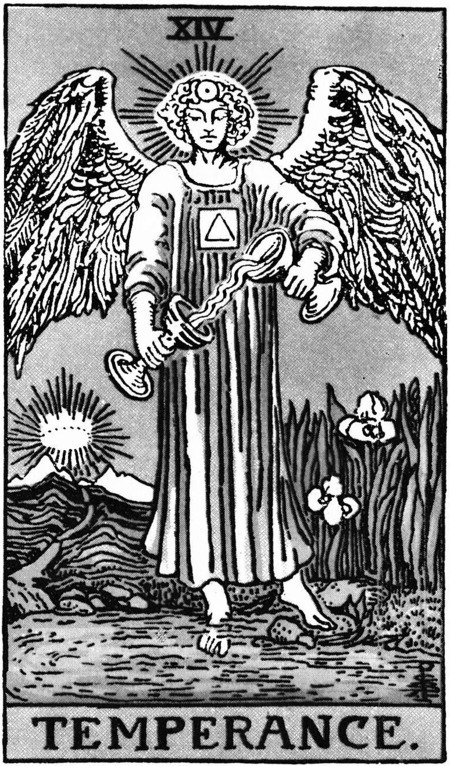 Our Tarot Tuesday card this week is card XIV of the Major Arcana, Temperance. An optimistic card, Temperance encourages you to find balance in your life and approach problems with a calm demeanour. It recognizes that opposing forces need not be at war within you. Tread carefully in any major decisions you make, with confidence that good decisions will lead to a good resolution for you.1. The site type that comes to mind when considering ‘balance‘ and ‘treading carefully‘ is that of a double stone row. 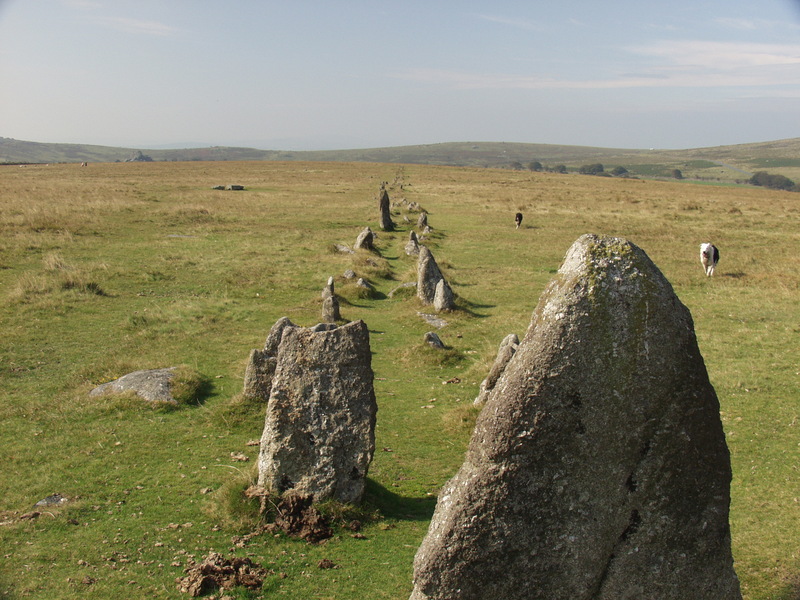 One site which immediately springs to mind which meets this description consists of not one, but two double stone rows: Merrivale on Dartmoor. The two stone rows run roughly parallel, E-W and each consist of pairs of stones. There are blocking stones at the end of the rows, and the southern row is bisected by a cist. A small leat runs between the two rows. The pairs of stones that make up the rows are set 3-4 feet apart allowing a visitor, should one choose, to walk carefully between the stones along each row. If you decide to attempt this, please be careful to not step directly on the stones, which are small and could be easily damaged. « Stonehenge: a message from space.